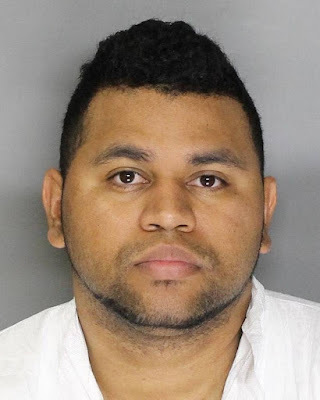 A man charged with the murder of his 2017 roommate was convicted in a jury trial that concluded in Sacramento Superior Court. Teris Vinson, 26 was convicted by a jury of the first-degree murder of Janet Mejia, and two counts of possession of a firearm by a convicted felon. On April 10, 2017, Mejia failed to show up for work and missed a doctor’s appointment the next morning. A missing person investigation was initiated, which ended with the discovery of Mejia’s body. She was found wrapped in an inflatable mattress in bushes near the Sacramento/Placer County line. Evidence introduced at the trial showed that Sacramento sheriff’s detectives discovered Mejia’s blood on the carpet padding of her bedroom. They learned Vinson was her roommate at the time, and that he kept two guns at the residence despite being convicted twice on domestic violence charges. DNA analysis revealed Mejia’s DNA was on the muzzle of one of the guns. An autopsy revealed she had been strangled and shot in the back of the head. Vinson faces a maximum sentence of 80 years to life in prison. Sentencing is set for January 11, 2019. No Comment to " Man convicted of killing roommate Janet Mejia, could face life "